Need external hard drive recovery? 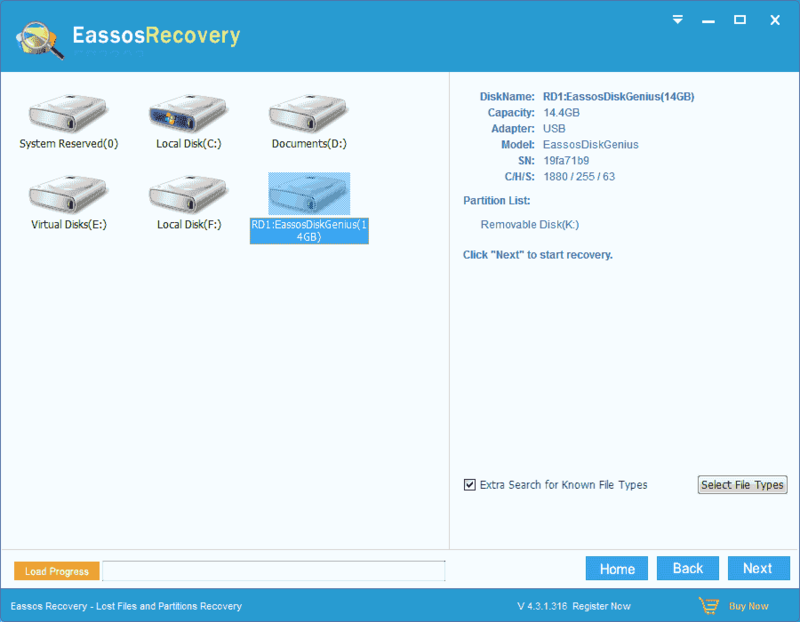 Do you know how to recover lost/deleted data from external hard drive? In this page you can learn an easy method to recover lost files from external HDD step by step with the help of effective HDD recovery software. 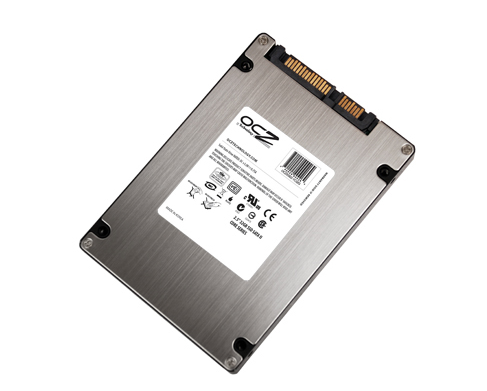 Do you have an efficient solution to do external hard drive recovery? Type the question in Google searching box, and you’ll find that this is a heatedly discussed top in website, forum, communities, social networks and some companies. In recent years, external hard drive enjoys great popularity due to its portability feature, large capacity and cost-effective price. It is often used to provide extra capacity to computer, backup files and system, share files, and transfer data. Users can buy one online or market, and most of them are produced by renowned manufacturers such as Western Digital, Seagate, Toshiba, Transcend, etc. 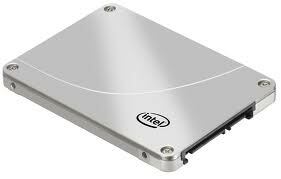 Unfortunately, in some cases, you just fail to ensure that the external hard drive can work in desired state all the time. Besides, data stored on the drive can be lost, deleted, formatted, damaged, and the drive may turn to be inaccessible. Data loss issue can be caused by many factors, for instance accidental formatting or deletion, system failure, partition corruption, malware damage and the like. What’s worse, missing files can include valuable photos, important videos recorded for memorable situations, working projects, designing, and contracts of recent business. Hence, lost data usually can’t be measured by money. Step 1: Free Download Eassos Recovery and set it up. There are files modes available for different data loss causes. Choose the one that suits best. Step 2: Select the external hard drive in question and click “Next” to scan files. In the step, you can check and uncheck the deep scanning option “Extra Search for Known File Types”. Time used by file canning process rests with disk capacity and read speed, and the program shows searched blocks, number of files it finds out and elapsed time on its interface. Step 3: Preview and recover files. 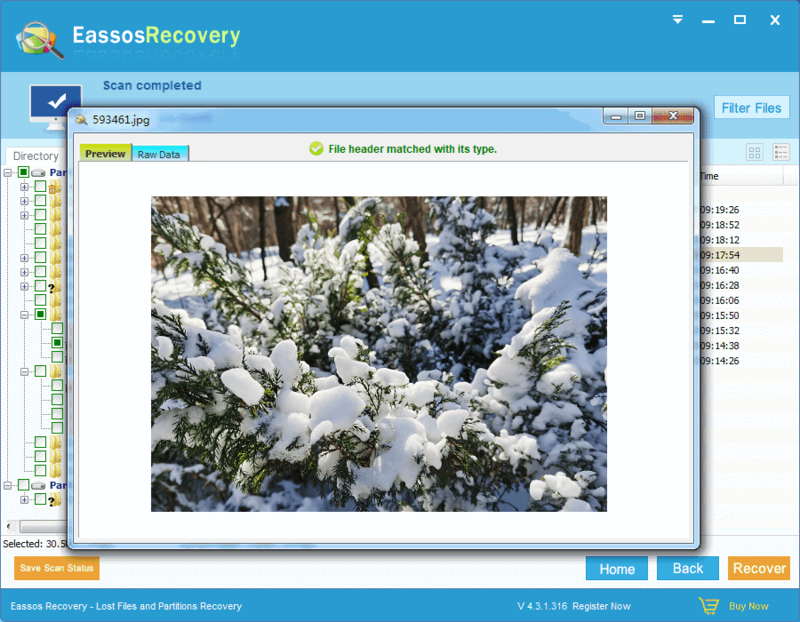 Eassos Recovery enables users to previews before recovery by which users can judge the possibility of successful recovery. 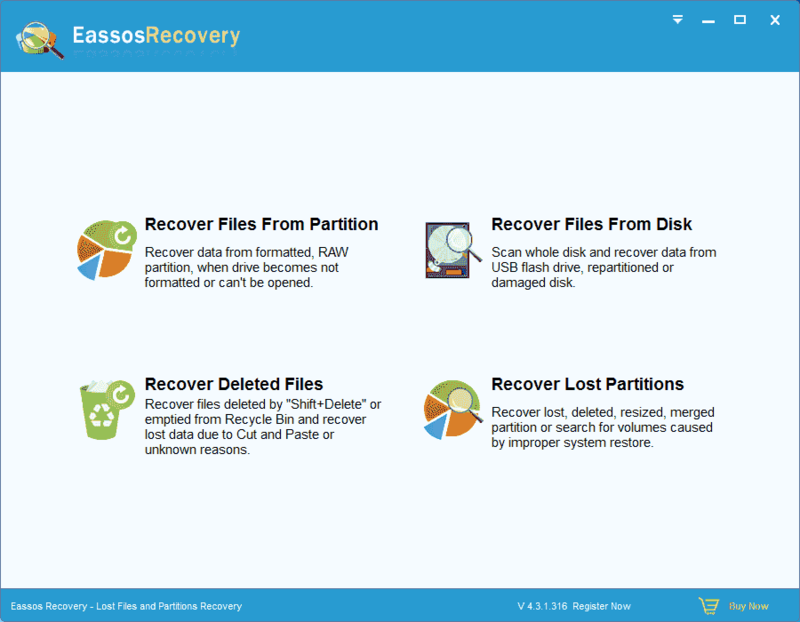 Step 4: Select files and folders you want to recover and click Recover button. Then you can specify a location to save data. This shows that it is easy to recover lost files from external hard drive and all average users are able to do by themseleves. 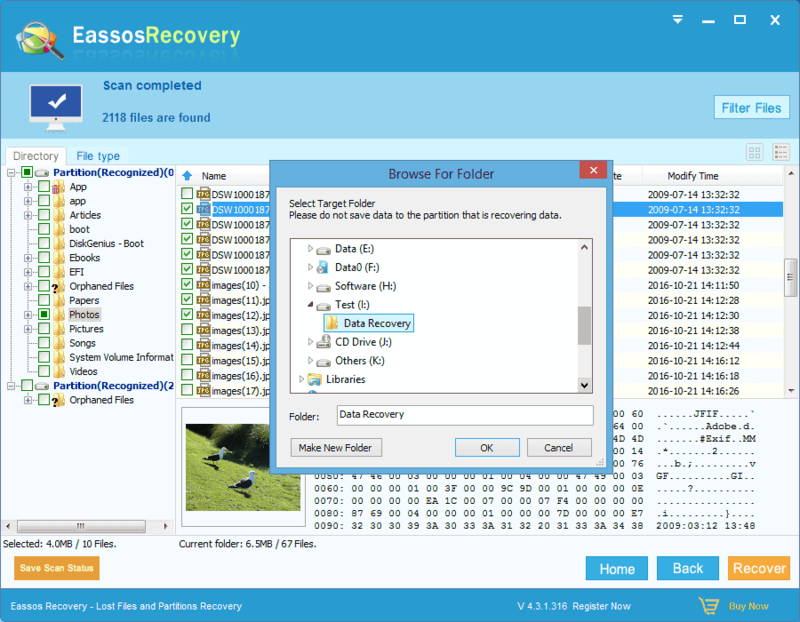 This entry was posted in Data Recovery and tagged External hard drive data recovery, external hard drive recovery, recover files from external hard drive, recover lost files by EASSOS. Bookmark the permalink.